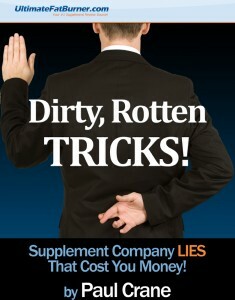 Our supplement industry dirty tricks expose′, “Dirty, Rotten Tricks! Supplement Company Lies that Cost YOU Money!” is now available on Amazon kindle. 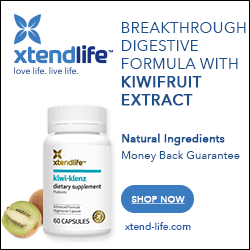 This publication brings to light some of the filthiest, nastiest tricks used by the supplement industry – whether it’s to sell weight loss or bodybuilding supplements or any other nutritional supplement – to separate you from your hard earned dollars. You might be surprised to learn how little terms like “clinically proven” or “all natural” actually mean. And I’m willing to bet you probably didn’t realize how little is required to start a supplement company – that you too can start selling private label supplements out of your basement for a small investment for less than a few hundred dollars. You can buy them online… for as little as $0.25 each. Need a video testimonial from an “ecstatic” client? That costs a bit more… around $40. If you buy or use supplements, “Dirty, Rotten Tricks! Supplement Company Lies that Cost YOU Money!” is a startling, eye-opening read. It documents what we’ve seen, here in the trenches, over the last 15 years. And now, it’s priced so everyone can afford it; just $2.99! Grab it now on Amazon.com! It will be the best $2.99 you’ve spent in a long time… I promise! Mark your calendars and grab your free copy: “Dirty, Rotten Tricks! Supplement Company Lies that Cost YOU Money!” will be available free on Amazon from April 3-5, and from April 14-15!